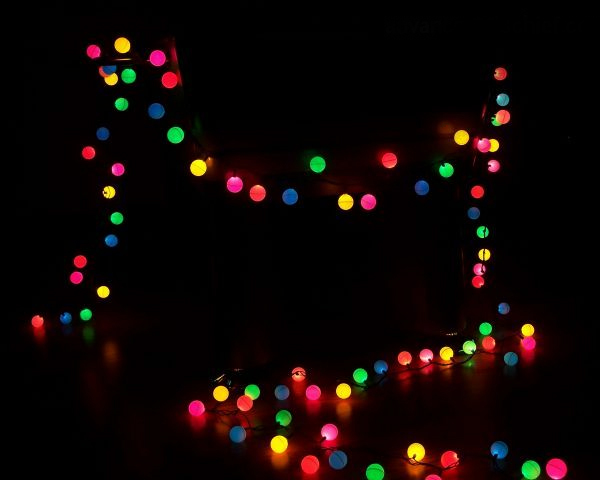 The Marie SC. 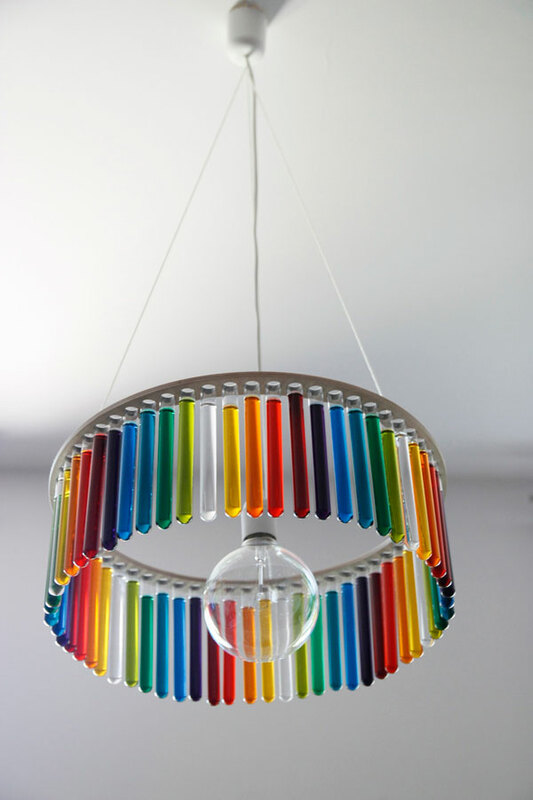 Chandeliers are made up of numerous test tubes surrounding a light bulb. 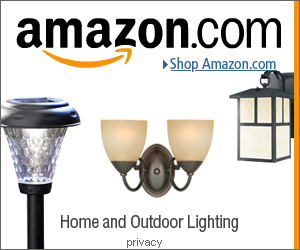 What makes this design truly amazing is that you can personalize it to however you like. 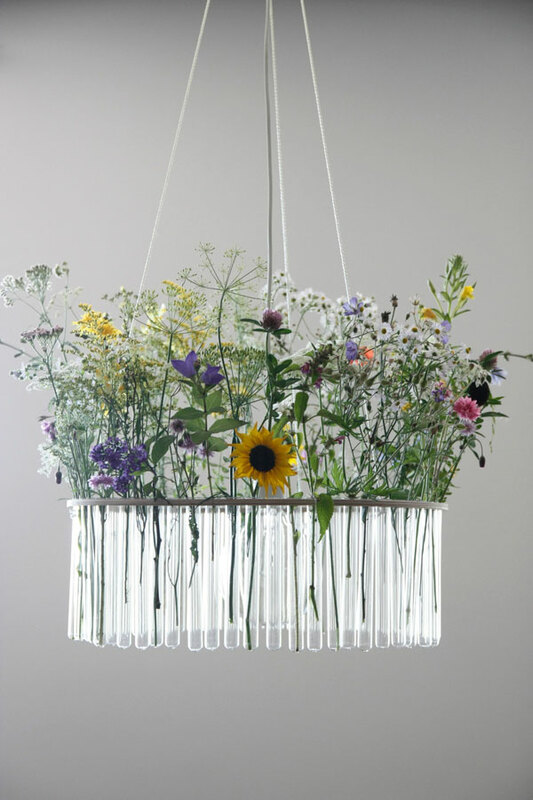 In the winter months you could use the test tubes to hold flowers and sprigs, and in the spring time you could fill them up with food dyed water for a more playful feel. 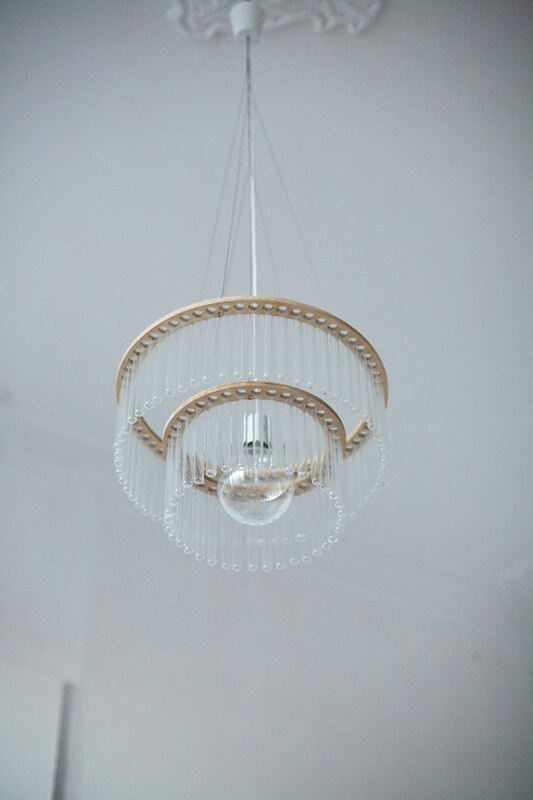 Wonderful – via More Design. 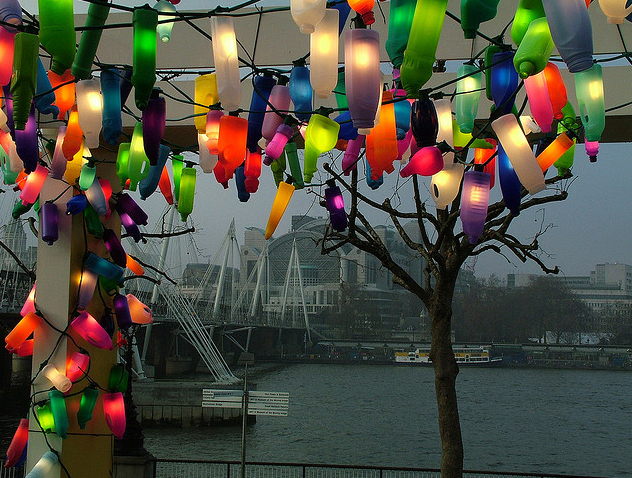 Here is a colorful display of lights that is made up of old recycled bottles. 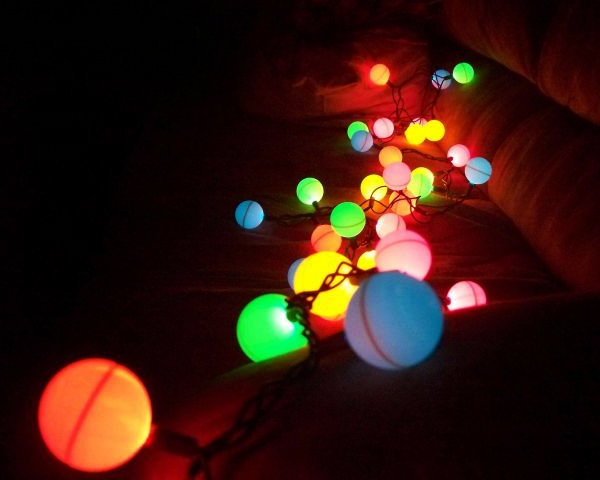 They were fitted to string lights which were wrapped around an outdoor pergola in Soho, London. 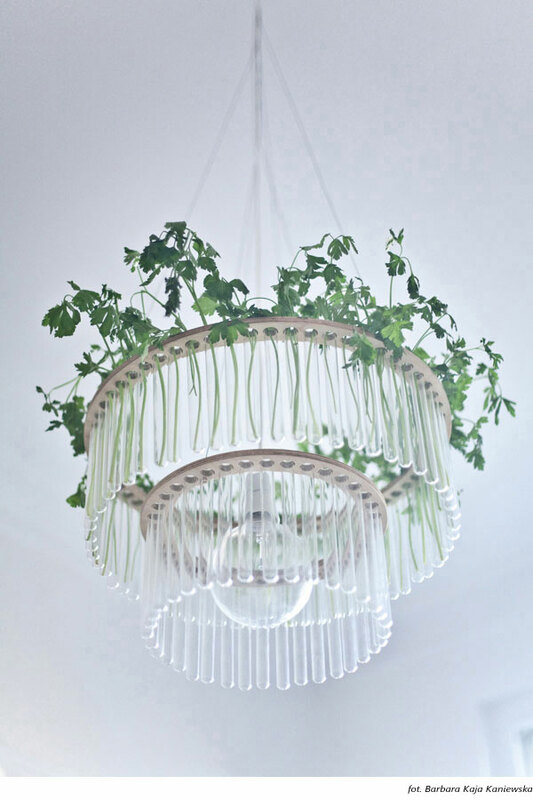 Better Homes and Gardens highlighted a number of creative ways you can update everyday items around the home with paint: from old photo frames to table lamps. 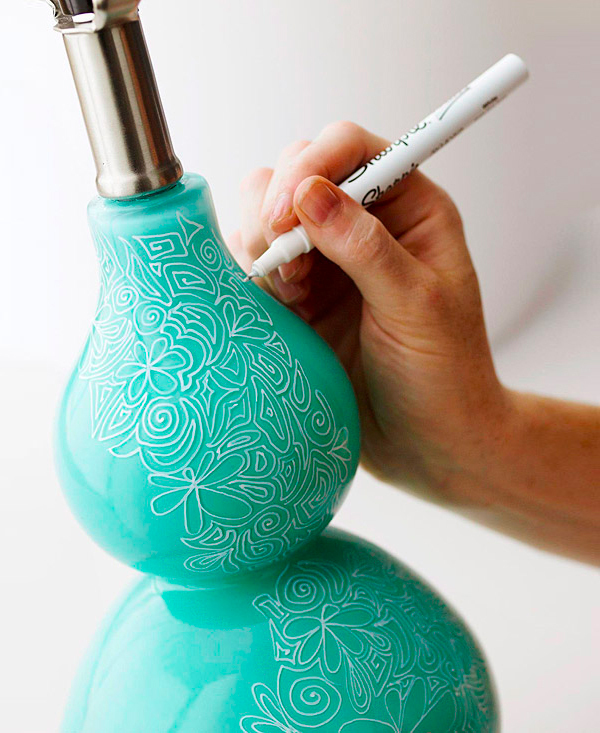 By simply using a white Sharpie oil paint marker, they have transformed a common teal colored lamp into a unique one of a kind floral piece – link. 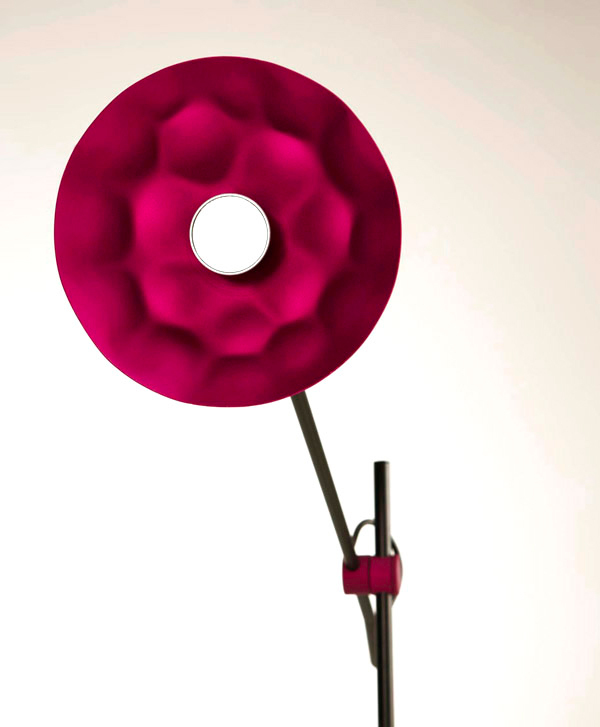 The bright and striking colors are what really makes this modern designer desk lamp stand out. Then there is that soft dented textured. 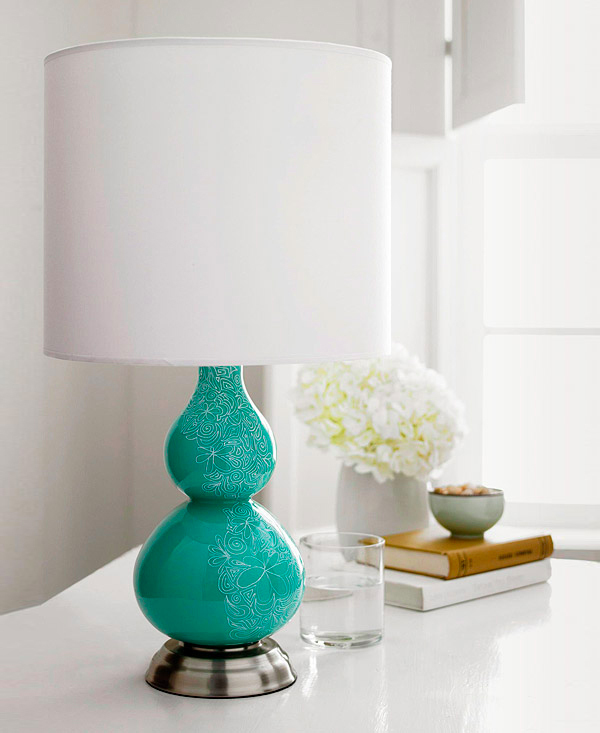 The Batucada collection is a truly Brazilian infused lamp. 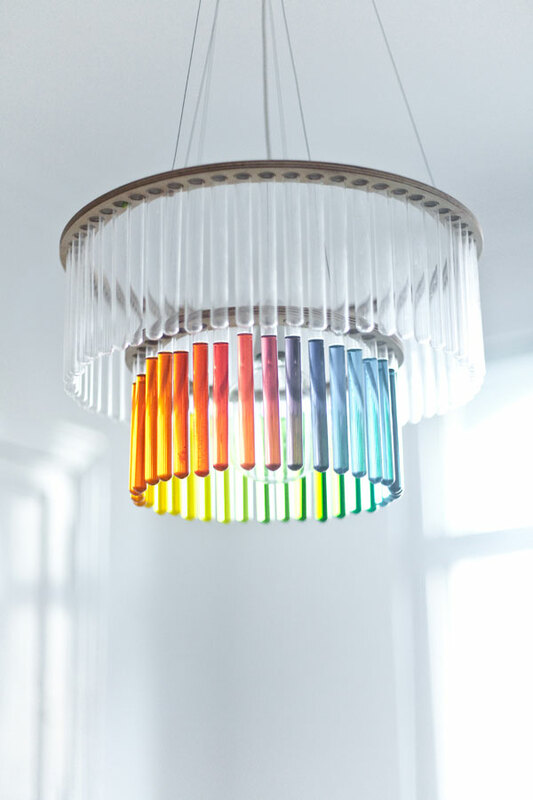 Designed by Brunno Jahara and manufactured by Vialight. 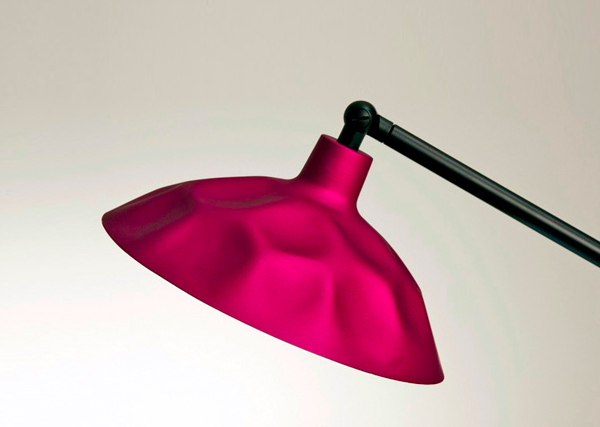 Each aluminum piece is hand hammered, making each lamp is unique. 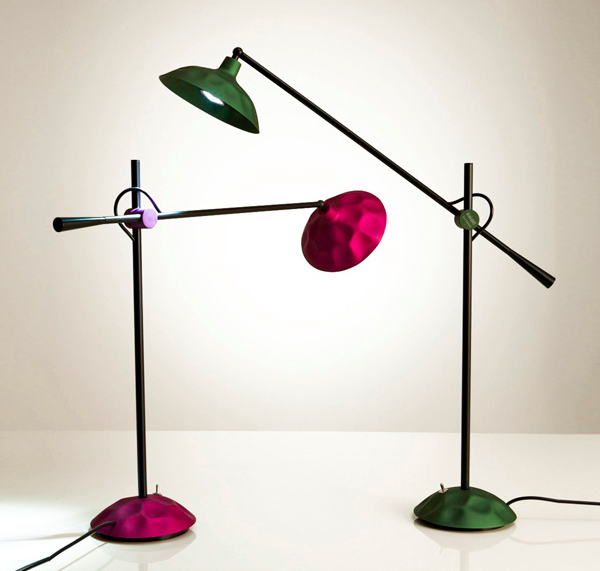 The Batucada collection includes purple, black, green and bronze versions of the modern desk lamp.